Want to know how long roofs last or how to save money when shopping for a roofing contractor? A survey of researchers, trade associations and manufacturers done by the National Association of Home Builders produced a report on ‘The Life Expectancy of Home Components’ with estimates of life spans for various roofing and related products. Based on the association’s research and other researches, here is how long you can expect your roof and other related components to last. Roofs - Copper, slate and tile roofs have the ability to last more than around 50 years. Homeowners with wood shake roofs should expect them to last around 30 years, while asphalt composition/shingle roofs last around 20 years and fiber cement shingles around 25 years according to the study. Weather and climate conditions, such as hurricanes and hail and snow can cut off the life span of all kinds of roofs. Decks - Due to the weather, the life span of decks vary. In ideal conditions, a wood deck would last around 20 years. Decks can also last up to 20 to 25 years in dry climates but they are likely to last only around 10 to 15 years in the South where the amount of humidity and rain is more. Floors - Wooden floors can last up to 100 years or more, as well as slate and marble floors if they are timely maintained. Tile floors are able to last from 75 to 100 years whereas terrazzo can last more than 75 years. Linoleum can last up to 25 years and vinyl lasts up to 50 years while laminate flooring can last up to 15 to 25 years. Most of the carpet needs to be replaced every 10 years even when it’s maintained. Gutters - Aluminum gutters last about 20 years, while copper gutters last about 50 years. Windows - Wood windows can last more than 30 years, while aluminum windows are expected to last 15 to 20 years. The following are the top tips to save up on roofing. You have to thoroughly understand the complexity and size of your roof and know the materials you want to get installed before you head out to the contractors. The details will assist you in maintaining consistent estimates while encouraging competitive pricing. If you come across the term ‘roofing square’ while researching the materials or getting your estimates, know that one square can equal 100 square of roofing material. In case you talking to a roofing contractor, disposal and installation fee is probably included in the estimate. Receive quotes from a number of roofers and always request and check all local references before hiring a consultant. Be wary of low bids which may mean subpar work, and ensure they offer a warranty on installation and materials. Check the local building department or the consumer protection agency to confirm the roofers are insured and licensed. 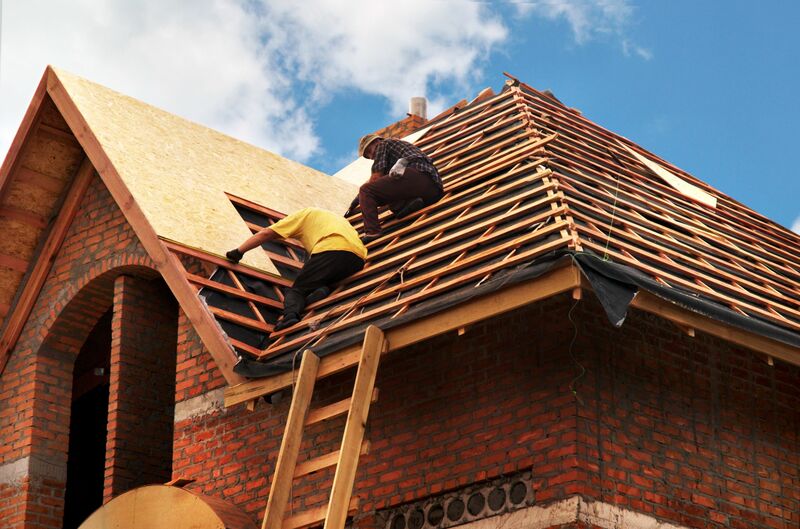 Roofers are the busiest in fall and late summer. Scheduling your roof replacement in late spring or winter may yield lower prices or off season discounts. Homeowners insurance mostly cover roof damage that is not caused by neglect. In case a hailstorm knocks some shingles loose, for example, your insurance company may assist you in paying all or at least a part of the cost of the replacement. Consider doing some of the work yourself. If you have time, the proper equipment and a stomach for heights, removing the previous roofing before the installer is here could assist in breaking down costs. Although, be certain that your contractor approves of it before you start working. Following these tips will certainly assist you reducing the costs but always make sure that you get the right services and do quality work or else your roof might have a reduced life span.